Freudenberg works with the most extensive technology platform on the market. This enables our performance materials experts to equip technical textiles with an unparalleled variety of properties. Our live interviews provide you with expert insights into these unique solutions – and inspiration for further developing and enhancing your own products. Live expert interviews at Booth F 37, Hall 3.1 Tuesday through Thursday. Starting Tuesday afternoon. 10:30: Innovating together at Freudenberg - comfortemp® fiberball eco and acoustic pads, what do they have in common? 14:00: Innovating together at Freudenberg - comfortemp® fiberball eco and acoustic pads, what do they have in common? Flexible silicone foam dressings for optimal wound healing. The gas diffusion layer (GDL) is a key component in fuel cells. The lightest acoustic product on the market: invisible noise-suppressor. Excellent insulation that keeps you warm and comfortable. The underbody shield offers an ideal weight-saving opportunity. Innovative Performance Materials in hall 3.1, booth F37. 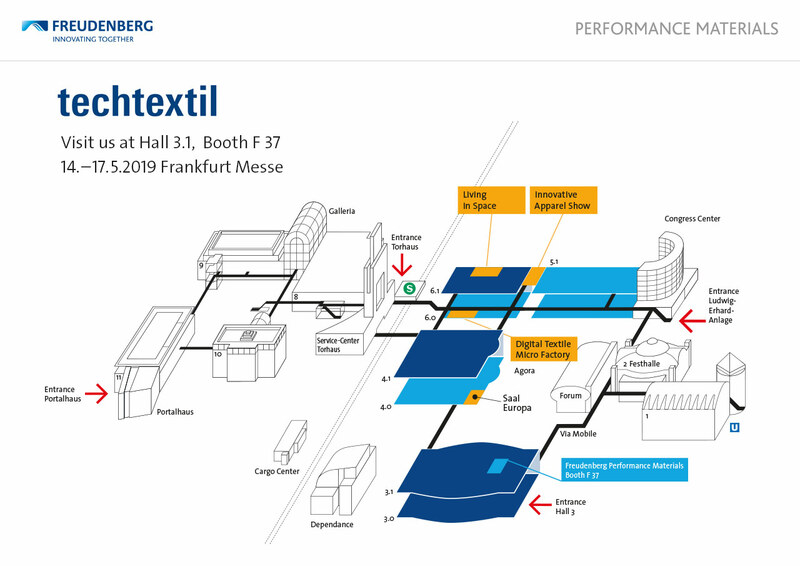 14-16 May from 9 a.m. to 6 p.m.
17 May from 9 a.m. to 5 p.m.
As a global manufacturer and pioneer in nonwovens, we offer high-performance technical textiles for a wide range of industries and applications. Our professionals provide perfect solutions for your business.